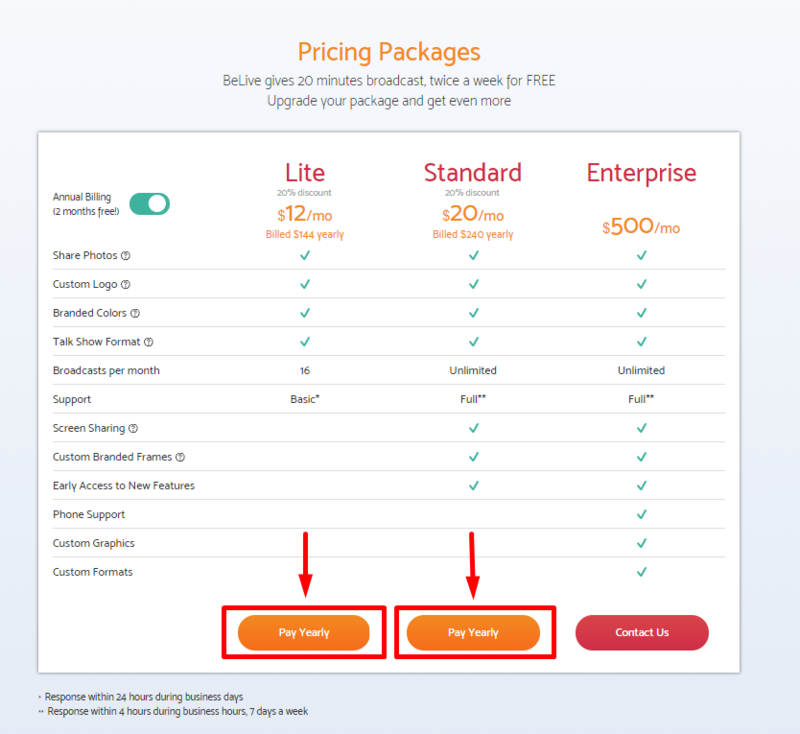 Once you decide to use a new platform, it's obvious that you want to know what will you pay for. That why we created this article just to be sure you are aware of our plans, prices, payment methods, and features availability. First of all, you'll need to create an account on BeLive. You are welcome to check this article to get to know how to do that. At the moment we are granting all the users 14-day trial to check out ALL our features. After it ends, you will automatically get the free plan. No payment details are required! 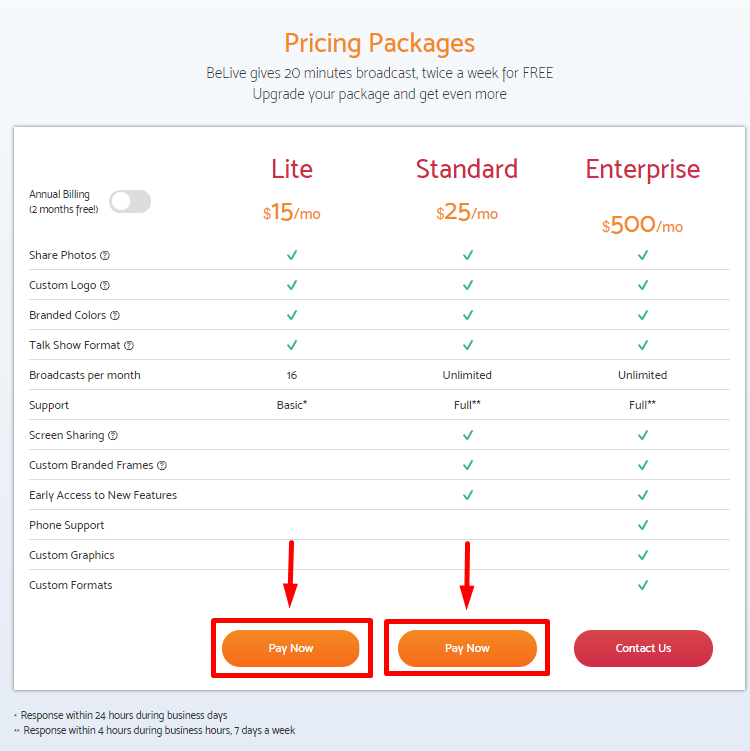 If you decide to use a yearly subscription, please, press on "Pay yearly"
Also, you can pay monthly. To switch between the yearly and monthly payments, please, use a toggle in the top-left corner of the page. The page itself looks the same but has a different button which is "Pay Now"
NOTE, you can pay ONLY via PayPal, that's why you'll need either to log into your account or create a new one. Below you'll find more specific information about our plans. It's not possible to cancel your subscription via PayPal. The only way to do that is to contact our Support Team. 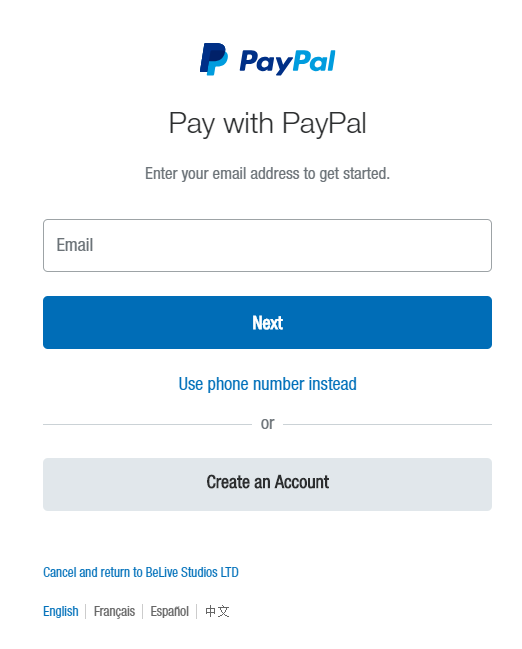 It's not possible to send money directly to BeLive, all of the payments are required to be sent through PayPal. If you want to stop using your paid subscription for some time, you can pause it instead of cancelling. To do so contact our Support.